I took Propecia (finasteride) briefly for male pattern baldness and sometimes I wonder if it put the accelerator on issues I was already experiencing from low testosterone. (More on that below.) And I'm not alone as many men experience issues after this DHT-lowering medication. Experts estimate that between 5-20% of men that use Propecia will experience significant sexual side effects, including erectile dysfunction and lowered libido. As I discuss in my page on Propecia and Depression, long term psychological side effects are probably much more prevalent due to finasteride's negative effect on brain GABA levels. Common complaints of "Post-Finasteride Syndrome (PFS)" as it is termed includies things like brain fog, testicular/prostate pain, "lifeless" gonads (eunich-like) and low androgen hormone levels. 1. Case #1. HRT (Testosterone Therapy). HRT does not always help victims of Propecia, but sometimes it works very well. From what I have read, PFS sufferers tend to have lower testosterone levels. However, it is my belief that this is not because Propecia causes low testosterone but rather because low testosterone men are very vulnerable to the negative brain effects of Propecia. The reason for that is simple: low testosterone can cause depression (and anxiety) and I show the research evidence in my page on Testosterone and Depression. 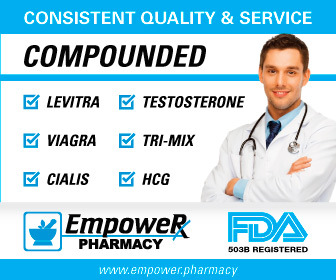 Many men on the Peak Testosterone Forum can attest to the fact that HRT has greatly helped them in this area. So clearly the last thing a low testosterone man needs is Propecia, which will likely then lower his GABA levels significantly. GABA, along with serotonin, are the "relaxing / peace-and-harmony" neurotransmitters. Low GABA levels are associated with - you guessed it - increased depression and anxiety. Therefore, one would think that restoring testosterone levels in a PFS hypogonadal man would at least partially reverse these negative psychological symptoms. This is, in fact, exactly what I believe happened to me. On my page How I Believe Propecia Negatively Impacted My Health, I discuss how looking through my old records revealed that I started really having difficulties with my health immediately after about six months on Propecia (to supposedly halt hair loss). It took years before I finally got on testosterone therapy, but, when I did, it was a life saver for me. It was like night and day mentally and psychologically. My depression was completely gone and anxiety was lowered about 50%. My boss commented on the positive improvements and said, "I don't know what it is, but you're a lot easier to work with!" 1) Once-weekly resistance workout style called "big-five." 2) I avoid cardio altogether, and focus on resting through most of the week. 3) I follow a fairly strict paleo-style diet, focusing on meat, nuts, eggs, fruit and veggies. I consume no grains or processed foods and minimal dairy. After reading your article on the hormonal effects of pesticides. 4) I've gone nearly full organic as well, with the exception of "safe" foods like avocados, kiwis and bananas. 5) I take a multivitamin, fish oil and 10 mg of zinc daily. Weightlifting helps ball ache. Especially heavy stuff: any kind of bench press, squats of any kind, deadlifts, leg press, preacher curls, bent over rows. I also run, but its mostly to clear my head and stay calm. I started with lots of fish, for protein, for weightlifting. I've slowly added in chicken and red meat. Certain really processed meats aren't good for me: hot dogs, deli meats. I take a multivitamin with iron, and a fish oil supplement, but my doctor says salmon 2x a week is just as good as the fish oil. I also take a small (1 tsp) scoop of metamucil fiber once a day. The important point is that it appears that hormonal adjustments and lifestyle changes can greatly reverse the negative effects of PFS. And, undboubtedly, it may take to heal as well. There is simply no reason to despair and give up hope, and, as always, I want to warn against is "just giving up". Men can assume that they have done permanent damage, when, in fact, that does not have to be the case. However, if you give up, and succumb to the stress and erectile dysfunction and then post-finasteride syndrome often likely heads into a downward spiral. Notice also that what they did for a cure was really not that complex: a good, clean nutrient dense diet with weight lifting coupled with a few supplements that emphasize omega-3's, a multivitamin and maca. Of course, I prefer what I call Low Fat Paleo, which should be much more arterial protective based on my personal experience. Regardless, the point is that these men got off of their standard Western Diet and took control of their health. Weight lifting for those, who do not know, has several studies showing that it can boost T, something I document in my link on Testosterone and Weight Lifting. Weight lifting can also help you burn calories for 24 hours afterward and is a proven nitric oxide booster. You do have to be a little careful about Lifting Weights and Your Arteries perhaps. Some men resort to pharmaceutical solutions that target GABA, which can be lowered by Propecia. This is not good, of course, because these can be addictive. Of course, I encourage always trying to find a natural solution even if it takes a bit more time. In the long run, it is a much safer path to travel upon.